Bulk discount available on this item. The Conical Plant Support by Poppy Forge is constructed from solid steel and coated in a durable green finish to protect it from weathering and rust. It is the ideal product to support plants, especially early on in the growing season. It helps heavy blossoms and flower heads remain upright and provides them with enough support to stop them drooping. It is designed for plants that start off with a small base before bushing out, as they get develop. It is available in 3 different sizes, making it suitable for various plants and at different stages of growth. 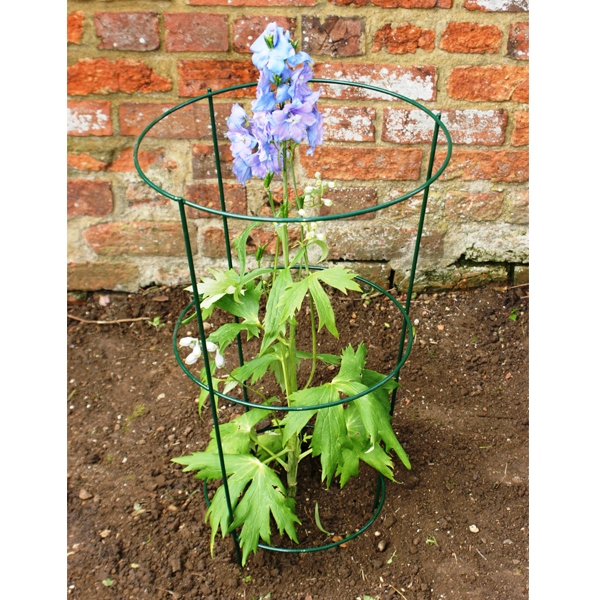 It can be used in the ground but also in flower pots.The Conical Plant Support is British designed and made.